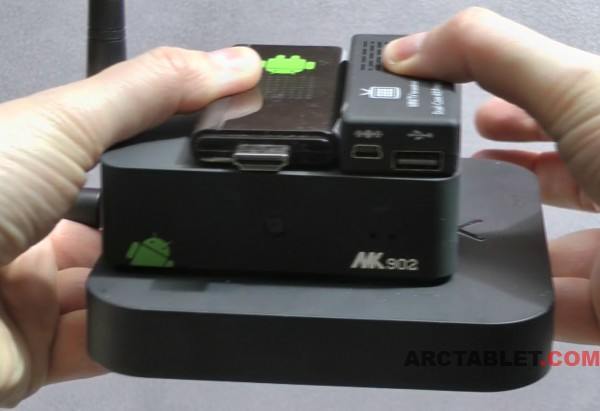 Rikomagic is the Chinese MiniPC manufacturer who made one of first and best seller device PC-on-a-stick/HDMI dongle MK802 based on Allwiner A10 architecture two years ago. 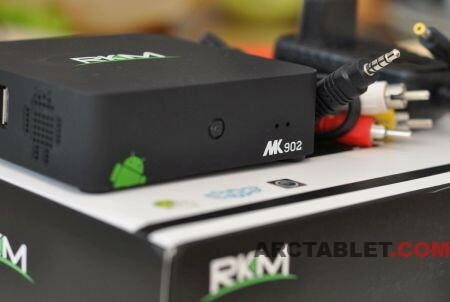 Released at the end of 2013, the Rikomagic MK902 is a compact MiniPC box that you let you run Android applications and games on your big TV screen. 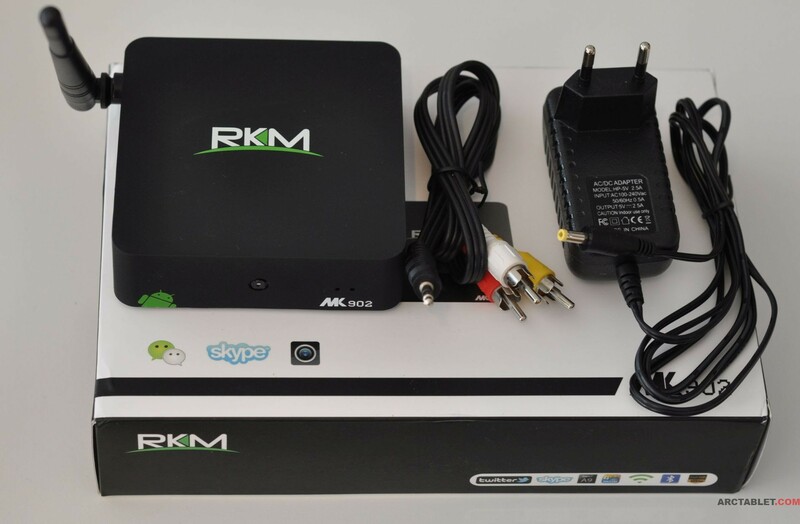 The device is based on a Rockchip RK3188 processor which currently offers decent performance for daily use and casual gaming. 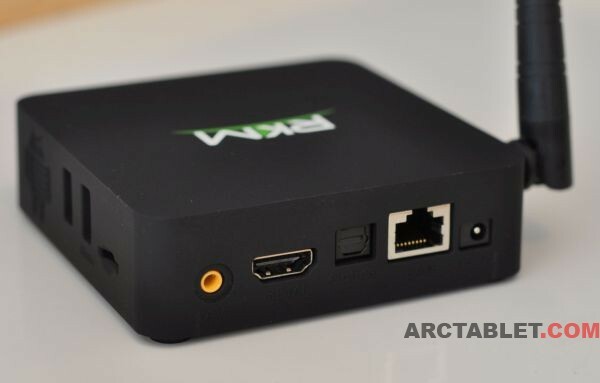 Compared to the ARCHOS TV Connect, the MK902 brings and updated system (Android 4.2), a better camera and slightly better performance for an attractive price (around $103 / ₤61 / €75). The MK902 does not ship with a remote control, you will have to use an USB/Bluetooth computer keyboard/mouse or take a small air mouse combo such as the Rikomagic MK706 that we will use later in this review. Latest firmware build JDQ39 dated 20140308Android 4.4 Kitkat upgrade may ship in the coming weeks. 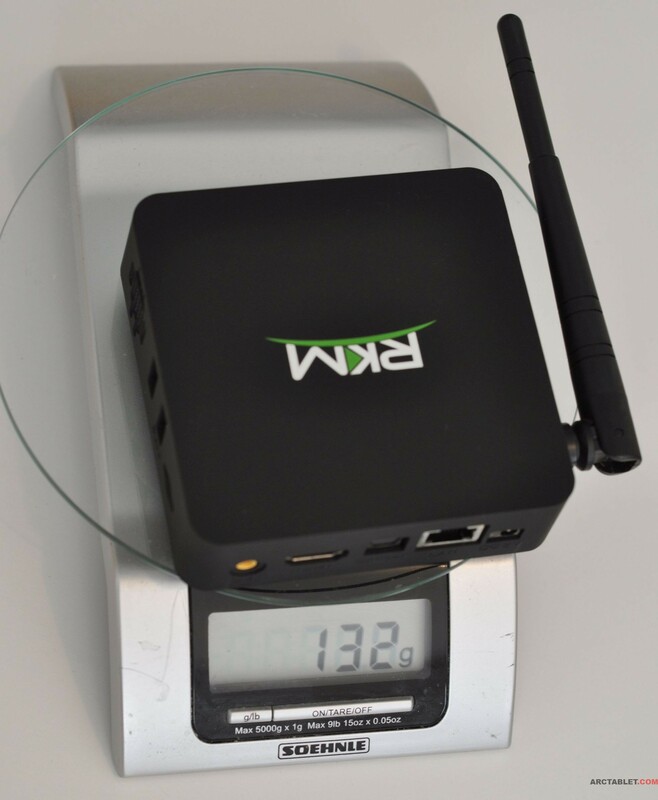 Battery life Not applicable as the MK902 has no battery, AC powered only. 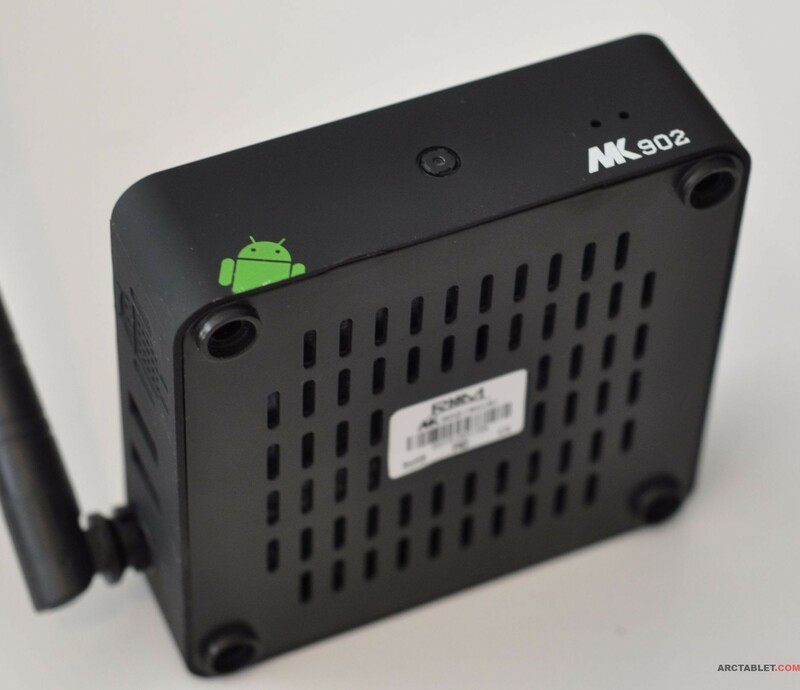 MK902 packaging, what’s in the box ? 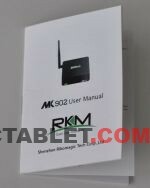 MK902 user manual, a 29 pages booklet covering basic Android user interface and firmware flashing topics. Top to bottom, left to right: Tronsmart T428, MK808, Rikomagic MK902, Minix Neo X7. Front 5 Mpix camera and microphone holes. Holes in the bottom of the case for device cooling. 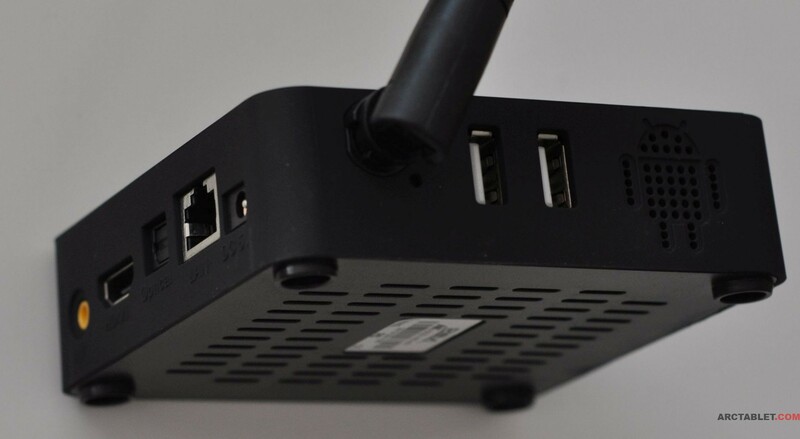 Back side connectors from left to right: AV, HDMI, optical (audio), LAN, power. 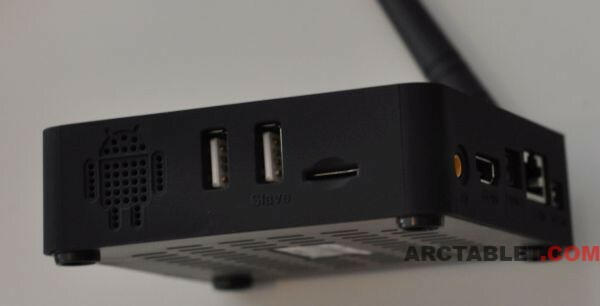 Left side: 2 more full size USB connectors and reset pinhole button. 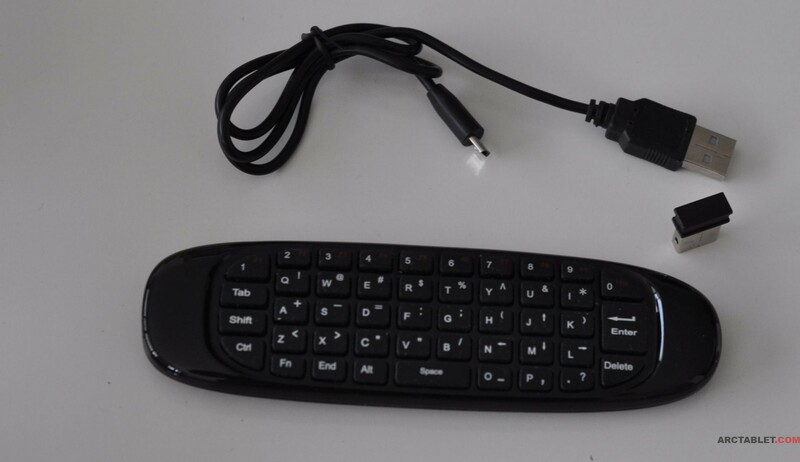 We used a Rikomagic MK706 Air Mouse and mini QWERTY keyboard combo to control the MK902. 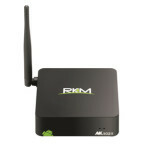 It connects to a computer or MiniPC thru a a supplied 2.4 GHz wireless dongle receiver for plug and play operation. 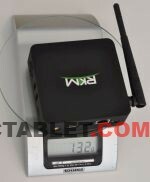 The MK706 will be presented in another article, the device is available at rikomagic online store for $21 / ₤12.5 / €15.3. Come back soon for the next parts of our MK902 review that will cover device performance/stability, software and a camera test.